Sheriff's deputies investigate a shooting in Palmdale on Sunday, Jan. 25, 2015. 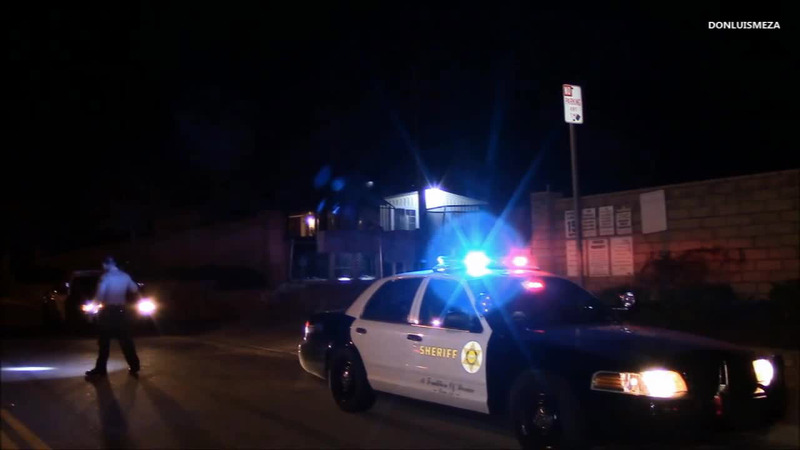 PALMDALE, Calif. -- A thick blanket may have helped save a 3-year-old Palmdale boy who was shot as he slept in his home Sunday night. Detectives say the boy was in his crib when shots were fired from outside around 9:50 p.m. on the 38000 block of 65th Street East. According to sheriff's officials, a bullet penetrated the exterior wall and struck the boy in the lower back. But because he was wrapped in a heavy blanket, it only caused a bruise and a small burn. Another bullet was lodged in his parents' mattress. The victim was rushed to a local hospital with minor injuries and was expected to survive. The gunman fled the scene on foot. A suspect description was not immediately available. The investigation is ongoing, but authorities don't believe the family has any gang affiliation. Anyone with information was asked to call the Los Angeles County Sheriff's Department's Palmdale Station at (661) 272-2400.